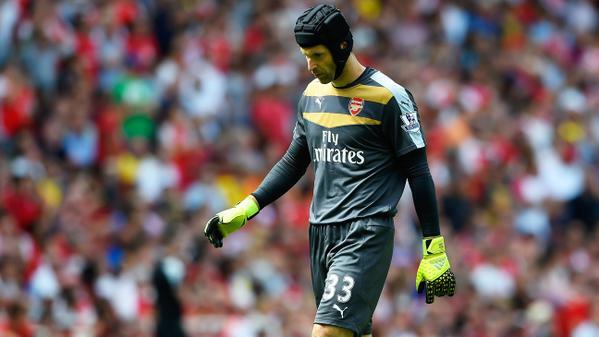 Home > Arsenal > CECH > EPL > Featured post > latest news > news > Arsenal's Cech tweets about mistake in 1st game - "Not in the script"
Arsenal's Cech tweets about mistake in 1st game - "Not in the script"
Arsenal’s main summer signing made his Premier League debut in today’s 2-0 defeat at West Ham, but was at fault for both goals in a nightmare debut. The 33-year-old Czech goalkeeper took to Twitter early on Sunday evening to share his thoughts on the game. He admitted just one ‘mistake’ and said that today was not part of the ‘script’, following his extremely successful pre-season with Arsenal. See his tweet below, featuring a fantastic response from one Gooner. @PetrCech are you winking at mourinho or?